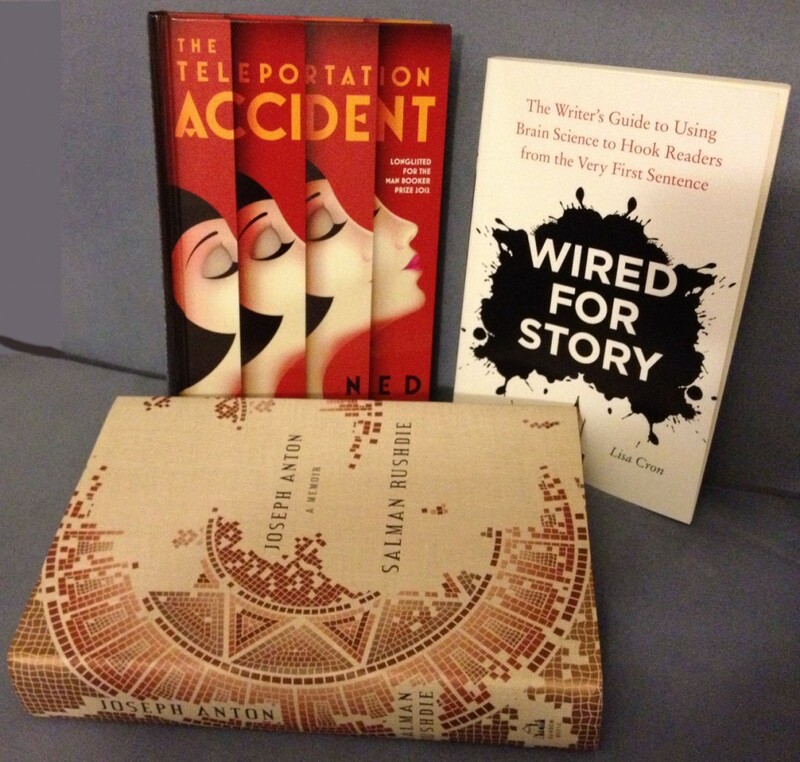 This entry was posted in Reading and tagged Joseph Anton, Lisa Cron, Ned Beauman, reading challenge, Salman Rushdie, The Teleportation Accident, Wired for Story by Vickie Bates. Bookmark the permalink. The September reading challenge list… already? Where is the time going? I wasn’t sure about Salman Rushdie’s memoir until I read your final paragraph. What a wonderful sentiment, and what wonderful writing. This memoir is now on my list. And Vickie, you know about my weakness for books about the craft of writing. I thought I’d “read them all” but I haven’t heard of this one. Until now. I’ll look it up! And hopefully get back to some of my unfinished stories. Thanks again for these book reviews (both the good and the bad). They’re both educational and fun to read! My thoughts exactly – September seemed endless, yet went by in a flash. I didn’t feel like I’d accomplished much toward my reading challenge last month, but the joy of reading great writers – Salman Rushdie, Lisa Cron – lit the spark again! Hope you enjoy both of these terrific reads.